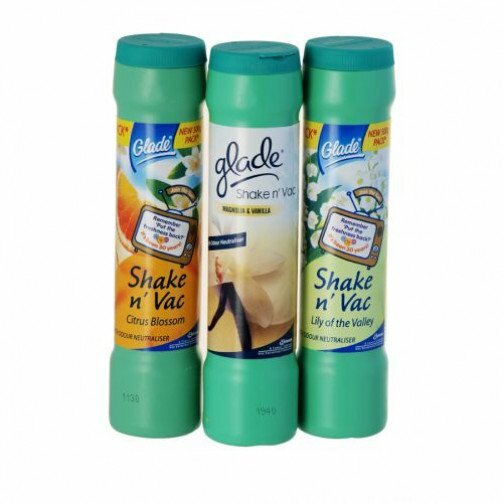 Shake 'n' Vac helps to keep your room smelling fresh and clean with a pleasant light vanilla and magnolia fragrance. Directions for use: Hold the bottle slightly inclined and shake from side to side over the carpeted area. Wait for a few minutes, and then vacuum the powder up. Suitable for use only on dry carpets. Unsuitable for use on carpet tiles or similar short pile carpets and also loop pile carpets. The contents of a single plastic shaker bottle will cover approximately 16-18 square metres. Store in a dry place after use with the lid tightly closed. 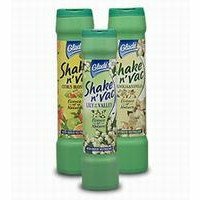 Sold in a case quantity of 12 x 350 gram plastic shaker bottles.